You have found some very cool Photoshop Brushes yet you don’t know how to load it into your Photoshop? If yes, then this article is for you. It is very easy to load brushes in Photoshop. In this quick tutorial, you will learn How to Load Custom Brushes in your Photoshop. You can find free readymade Brushes on some sites or here. 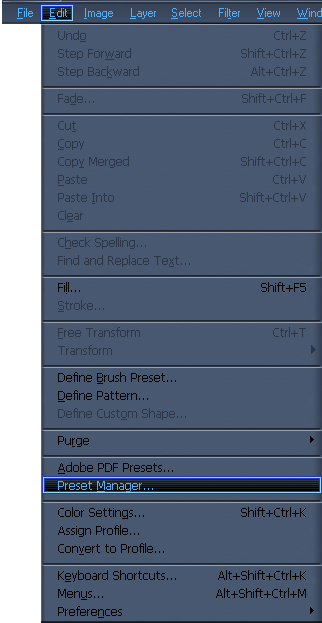 So after you download the Brushes that you like, put it in your C:\Program Files\Adobe\Photoshop\Presets\Brushes. Now it doesn’t mean that you can already use the Brush. You need to Load it first. So to start. Go to Edit>Preset Manager. In Preset manager click Load. 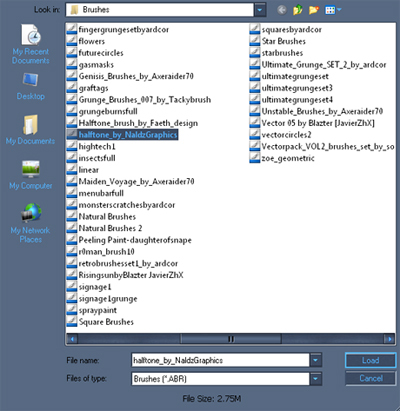 then look for the Brush that you put in your Brush Folder. After you click it you will now go back to Preset Manager with the loaded brushes. And just click Done and now you can use the brushes. Same process for Patterns,Gradients,Styles,Costum Shapes,Contours and Tools. But just make sure that you put them in there respective Folders. Nice tip. Many people forget on the basics which makes them tougher to work on advanced photoshop effects. but naldz, do u know how to load shapes and stuff easy n fast ? Yeah CB u are right very nice tips he got a very nice collection in his site really like it. Unfortunately I do not have stuff it expander to expand the rar file. can you make it available in a non compressed format? That would be fantastic. The brushes look great! PS When trying to download stuff it expander, I am required to jump through alot of hoops and I really don’t want to do that.